♠ With her sultry, soulful vocals, dramatic, expansive arrangements and smouldering looks, it’s something of a surprise that Gemma Ray hasn’t already broken through in a marketplace that’s on the whole been very kind to home-grown female performers over the past decade or so. But while Amy, Duffy, Adele and Jessie have all made it big, this very untypical Essex girl is still plugging away in relative obscurity despite appearing to have many of the attributes for mainstream success. ♠ Island Fire is Ray’s fourth album and sees her returning to the tried and tested formula of her first two records following the stripped down diversion of It’s a Shame About Gemma Ray, her pun-tastic 2010 collection of covers. 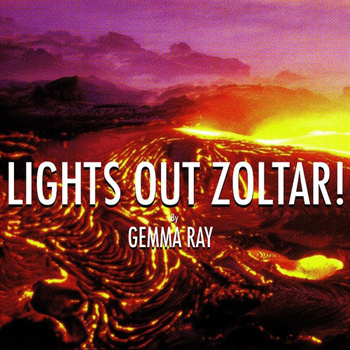 The songs here first emerged when Gemma was stranded in Australia as a result of the air travel chaos caused by the infamous Icelandic volcano ash cloud, encouraging her to put her unexpected free time to good use (as well as inspiring the album’s title) before she returned to Sydney last year to finish the record. ♠ With different styles ranging from anguished torch song (Flood and a Fire) to lavish orchestral pop (Bring Ring Ring Yeah) and brooding guitar atmospherics (Make It Happen), Island Fire is something of a restless affair, with its protagonist seemingly a little unsure on whether she wants to be a Phil Spector ’60s girl group singer or latter day Billie Holliday. In her moodier moments, such as the aforementioned Make It Happen, she inhabits similar territory to the critically lauded Anna Calvi, but in contrast, the likes of Rescue Me are more akin to the slightly twee melodramatics of retro revivalists Camera Obscura. ♠ Most bizarre of all is an unlikely collaboration with Ron and Russell Mael on two Sparks covers that round off the album as ‘bonus tracks’. How Do I Get To Carnegie Hall substitutes some of the original’s high camp for a more sinister dynamic, while Eaten By The Monster Of Love is theatrical, ridiculous but rather good fun. Both however sound somewhat incongruous alongside Gemma’s more restrained self-penned material and add to Island Fire’s slightly uneven feel. ♠ That Ray has talent is not in doubt — she blends disparate genres very adroitly and is bold and ambitious. But there’s something missing on Island Fire that prevents the album from delivering to the sum of its parts, something that’s maybe also the reason why she isn’t making that leap forward into the big time, and that’s the songs themselves. Put bluntly, they aren’t quite strong enough to match the scale of her musical vision, lacking the irresistible melodies or effortless swagger to command the listener’s attention like, say, Amy Winehouse did before her demons got the better of her, and somehow bereft of their own unique personality. Ray sounds rather like a lot of other people, but nothing really makes her stand out, something akin to the girl next door with the big voice factor that helped Adele conquer the world. ♠ Of course, not every artist can be expected to shift units by the million, and that’s probably not what Ray gets out of bed for in the morning in any case, but nevertheless Island Fire is unlikely to cause a conflagration beyond those already in the know, despite having plenty to offer those willing to listen. 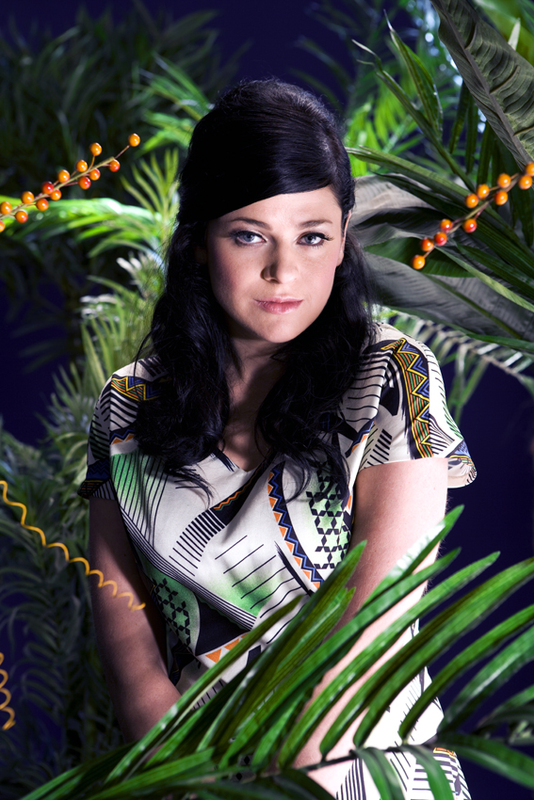 ♠ The early 2000s had their share of retro–soul and R&B acts, but British singer/songwriter Gemma Ray had a more complex m.o. than simply aping the greats. 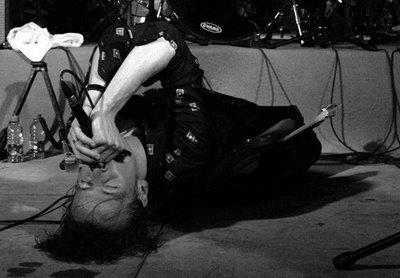 ♠ Reaching back to pre-Beatles rock for inspiration — but tossing in a jumble of influences as disparate as Tom Waits, Kate Bush, film scores, flamenco, and the sparkly indie pop of the ‘90s and 2000s — Ray sculpted a sound that was familiar and warm, but also appealingly off–kilter and full of noir-ish touches that were part homage, part pastiche. ♠ The Essex native released her first album, The Leader, in early 2008 on the U.K.–based indie label Bronzerat. Aloft on a cloud of positive reviews from the British press, she was about to embark on a tour when she became ill and had to cancel a number of profile-raising shows. While recuperating, Ray wrote a batch of new songs and recorded them in a modest home studio with co–producer Michael J. Sheehy. The resulting Lights Out Zoltar!, released in late 2009, was an ambitious work that belied its homemade origins by boasting an expansive, concert hall sound. 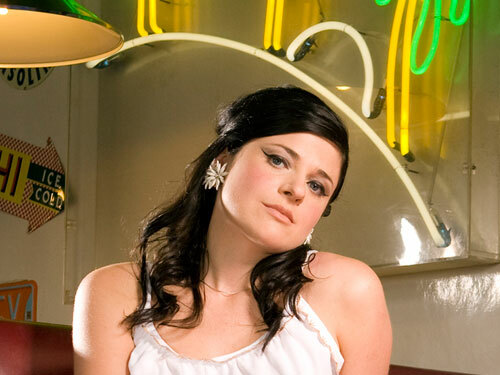 Ray took the opposite approach for her third album, It's a Shame About Gemma Ray, which found her covering 16 songs (ranging from Buddy Holly's "Everyday" to Mudhoney's "Touch Me I'm Sick") in spooky, stripped–down versions. ♠ “If Pulp Fiction were remade to include a church scene, then London's queen of all things noir Gemma Ray would provide the soundtrack and possibly a part as Uma Thurman's best mate. ♠ As the subdued guitar of Alight! Alive! makes its first appearance alongside Gemma Ray’s impeccable harmonies with herself, I knew I was in for a musical ride.. The song’s use of swooping violin accompaniments and jangly glockenspiel–type effects just add to the encompassing atmosphere of the song, much like Imogen Heap in her early days — and that’s a compliment. Ray’s vocal tone is unique and stands out a mile away, which works to her advantage as it sets her apart from the thousands of singer–songwriter pop artists. The high pitched nature of her voice mixed with the harmonies brings a Tegan and Sara–esque feel to her music; it’s harmless and pleasantly satisfying. One of the things I like about Gemma Ray’s singing voice is her insistence to keep her English accent throughout her vocals — something sadly rare among the British music industry now, unless you are Kate Nash. This is mostly apparent in jangly summer tune Put Your Brain in Gear, a bubbly pop tune which wouldn’t seem out of place in a park surrounded by friends and wine. The second half of the album does not live up to the same amount of energy as the first, but it still has that ethereal sense of atmosphere surrounding each track. In her more subdued moments, Ray is flawless, complimenting her vocals with beautiful guitar riffs such as Flood and a Fire. It is evident that she has a bag of musical tricks and an orchestra’s worth of instruments at her disposal to experiment with, but the music is just as beautiful when stripped down to her and her guitar. This gives her a world of potential within today’s music scene — I hope this is not the last the world has heard of Gemma Ray.